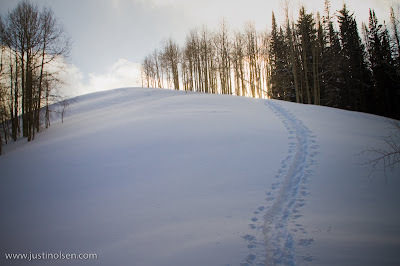 The splitboard... The hippie shred's answer to a chairlift. 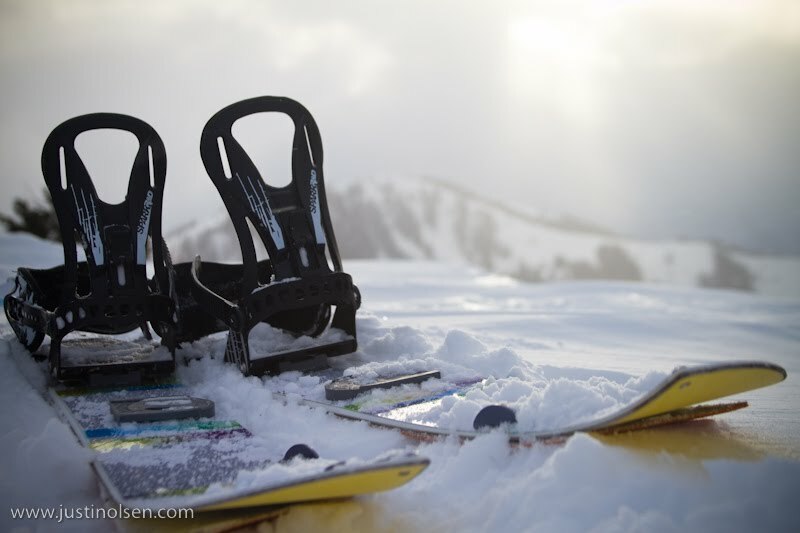 For most riders, the splitboard has never really been an attractive alternative to snow shoes. There have always been 2 main problems, and they are pretty big ones... the board and bindings. The boards have come a long way. Over the last few years many companies have started making twin tip and reverse camber splits (you know, the kind of board you would actually want to ride). Every year more companies are making split boards, and it is looking like in 2011/2012 there are going to be a ton of new options. Splitboarding is coming into it's own. The binding interface has always been a major downfall. Using the Voile system has always been the most readily available option. The first problem, weight; the second problem, with that system you have a huge gap between the board and binding. This creates flex problems, stance issues, and an overall awkward feeling while riding. It seems this has always just been "accepted" as part of splitboarding... Not anymore. Enter Spark R and D. This small company out of Montana has changed the game. They have created a binding that solves all the classic problems. When I saw these bindings I had two reactions, first, why didn't I think of that? Second, how can I get a set? When I finally got my hands on a pair I was blown away. They were so much lighter than my old setup! I am not just talking a few grams, holding them hand in hand there was a huge difference. My first time out on them I almost forgot I was on a split. Riding down felt like... actual snowboarding! No weird flex, no huge gap, no "it's part of splitboarding" excuses.